After our couple days in Samara, we headed back to Tamarindo for a week. If you’ve been following the blog, you may think to yourself…Tamarindo? Haven’t these guys been there a zillion times? Well technically three times now, but yes, we do keep coming back. During the crazyness of travel, life can seem pretty chaotic. We often find ourselves longing for a place that feels like home. 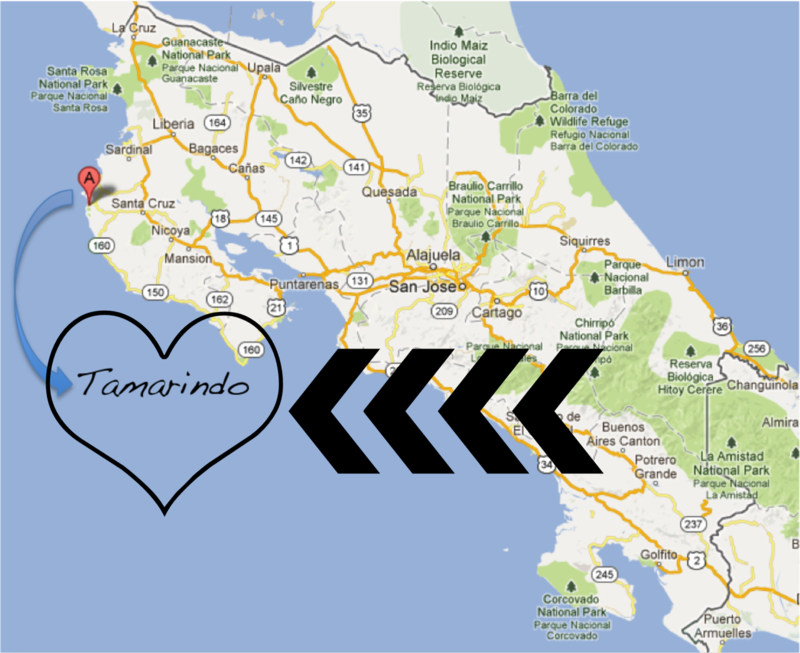 We’ve come to realize, that for us, Tamarindo is that place. For those of you who know us, know Tamarindo or know both, this may come as a surprise. Tamarindo is a very busy little town, full of people, and full of party. Not necessarily a place that fits our relaxed “in bed by 8pm” approach to travel. In fact, if someone were to ask me where I would recommend they go during their trip to Costa Rica, Tamarindo would be much further down the list then some of the other places we’ve visited. But we have a soft spot for Tamarindo, and the longer we are in the country, the larger it grows.In previous trips to Costa Rica, we’ve always stayed in Tamarindo, and have been able to see the town develop over the past 6 years (since our first visit). Tamarindo is the first place we stayed when we landed back back in November, and it is going to be the last place we stay before getting on the plane in April. We are comfortable with the town, we know where the deals are, we know which restaurants we like, heck we even have a cat that we pretend is our own! We have come to know several people in the town, and any time we visit we take a moment to pop in to say hello. Familiarity, comfort, friends, these are all things that you miss when travelling. When you find a place that gives you a little taste of those feelings, it is always going to keep you coming back. So, at this point in our adventure, we found ourselves back at Villas Macondo for a week. Laying by the pool, visiting with Bearly Bear, and enjoying our time to regroup before our big trek up to Nicaragua. How do you find ways to feel “at home” while travelling? This entry was posted in Uncategorized and tagged Backpacking, Bearly Bear, Costa Rica, Guanacaste Province, Homesick, Tamarindo, Travel, Villas Macondo by katez. Bookmark the permalink. This sounds like the town I just chatted with a Cape May local who just returned from a month’s visit. Out of the way Surfing town? Hmm maybe? It is not out of the way though. Pretty centrally located, only 50min from Liberia airport so it attracts a lot of people! Maybe Nosara or Santa Teresa/Mal Pais? Those are pretty popular surfing towns that are a little more out of the way!